In and around Karen Bennett’s cluttered Sherman Oaks classroom, the future filmmakers of America are finding their voice: Small crews outside operate cameras, directing close-ups along with mid and wide shots; inside, groups huddle around computers, cutting on Adobe Premiere and powering up lightsabers through the magic of After Effects. As she’s bombarded with kids’ frantic questions, Bennett is Yoda, calmly dispensing knowledge. She founded the Cinematic Arts Academy six years ago at the Millikan Middle School Affiliated Charter and Performing Arts Magnet. Since then it has consistently outshone better-funded, better-equipped competition at festivals all over the globe, even going up against 18- to 24-year-olds. In 2014, a student film from Millikan alum Cameron Covell was licensed by Google for a Super Bowl ad. Bennett served as a music editor on such films as Planet of the Apes and Minority Report before turning to teaching. “I was working with Steven Spielberg and John Williams, and I thought, Gosh, that was the height of what I could have hoped for in my career,” she says. “But I started to feel like I wasn’t quite where I needed to be in the world—that if this wasn’t doing it for me, I was climbing the wrong mountain.” She landed in the classroom, teaching history, English, and film elective classes before starting CAAM. Hollywood is just over the hill, but the program’s sensibility is more Bergman than Bruckheimer. Bennett, who’s 40, gives students a healthy dose of German Expressionism alongside the nuts and bolts, from basic screenwriting to advanced postproduction techniques. “Teaching film to anybody is hard,” she says. “But teaching film to insecure middle schoolers is a special sort of package. 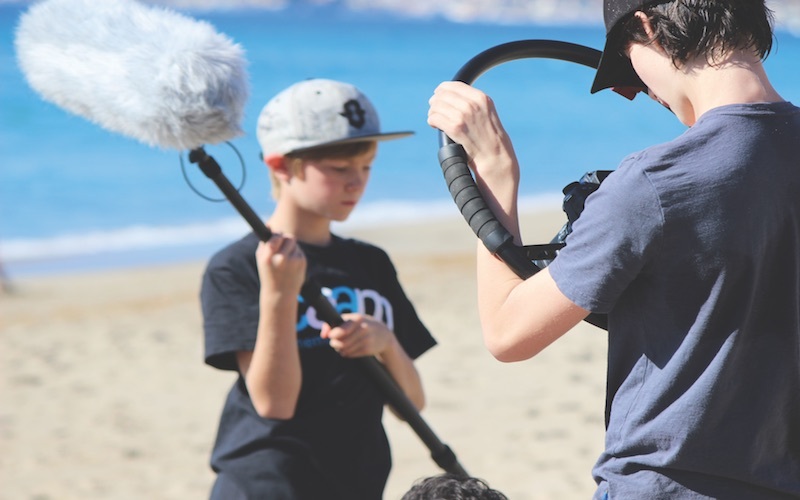 As with all the class films, the project got the star treatment at CAAM’s annually spring festival at the Egyptian Theatre, a fund-raising gala where kids reveal their work to the world. They get a small taste of red carpet glitz, but judging by the concession lines, it’s hardly a match for their insatiable hunger for Red Vines. Previous articleChicago’s Famed Harold’s Chicken Shack Is Coming to L.A.